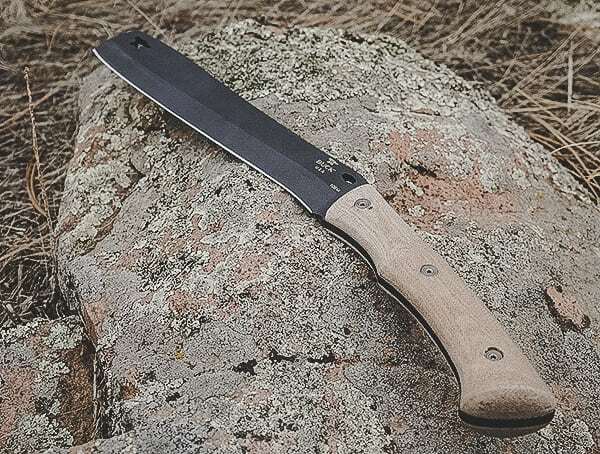 Long before this company became a mainstay of the American knife market, it was forged from imagination of potential. 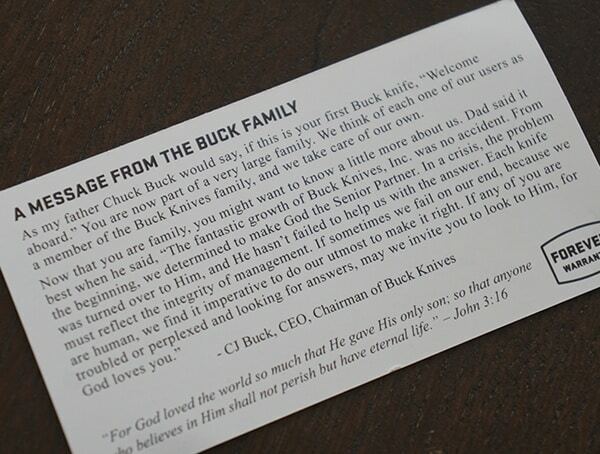 One could safely say that the current Buck family has quite a name to live up to. 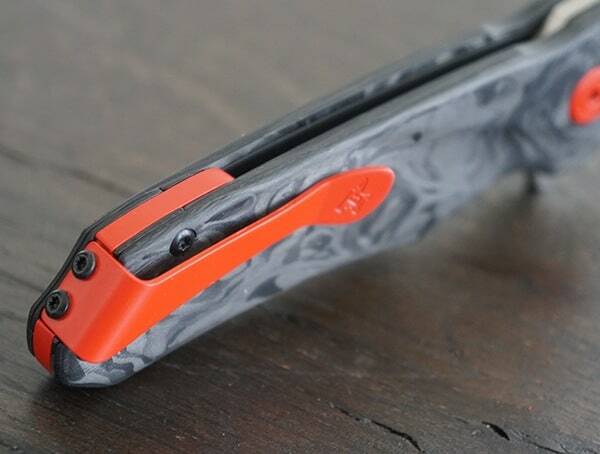 Originally Hoyt Buck began repurposing used tooling and files for the base materials. 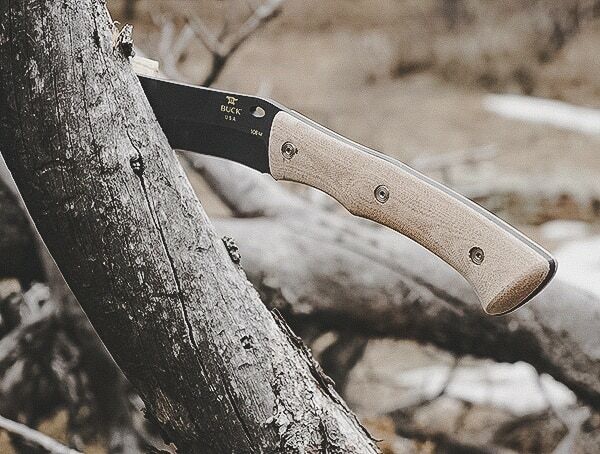 Production dates back to 1902 when Hoyt was running a one-man show. 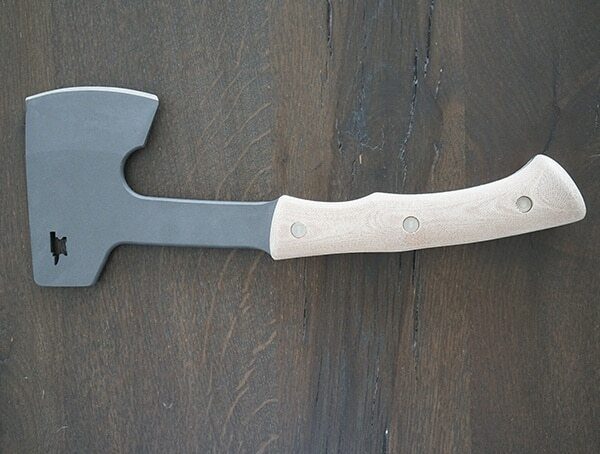 By merging forces in 1945 and creating H.H. 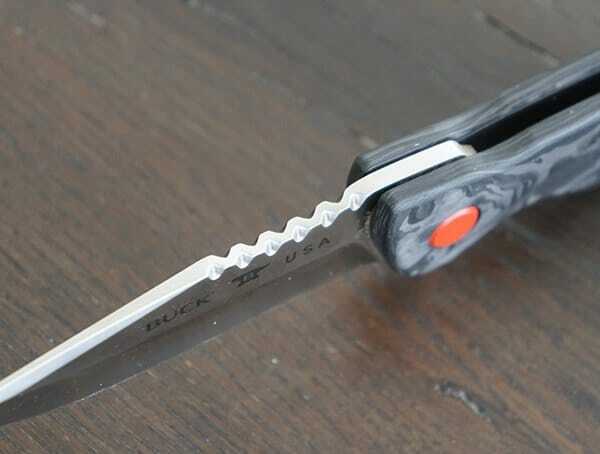 Buck and Son, Hoyt grew the company with the addition of his son Al. 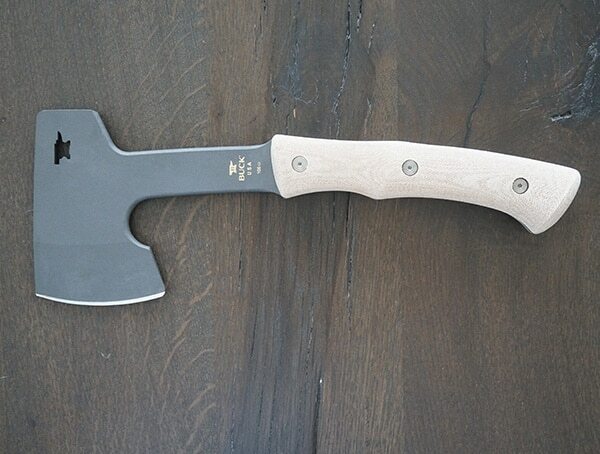 It wouldn’t be until after Hoyt’s death that Al’s son Chuck would join, following family tradition. 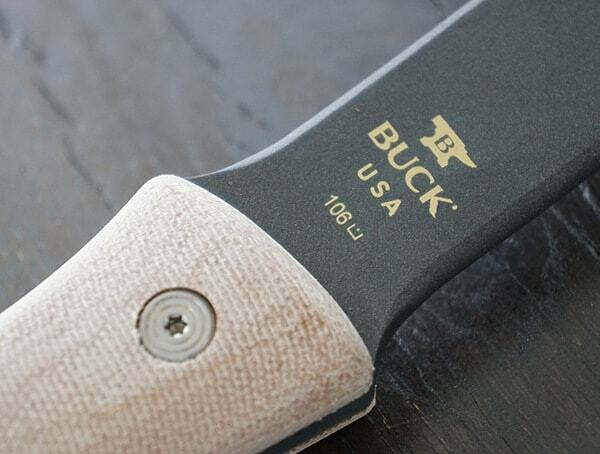 In 1961 Al would incorporate the company to create Buck Knives, Inc. 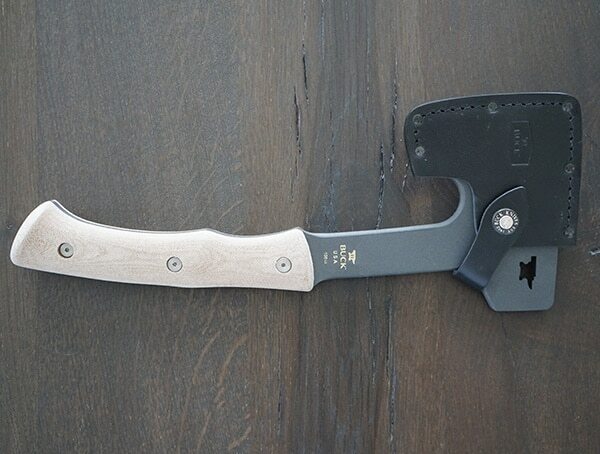 The knife world was turned on its head when Buck released and produced the Model 110 Folding Hunter. 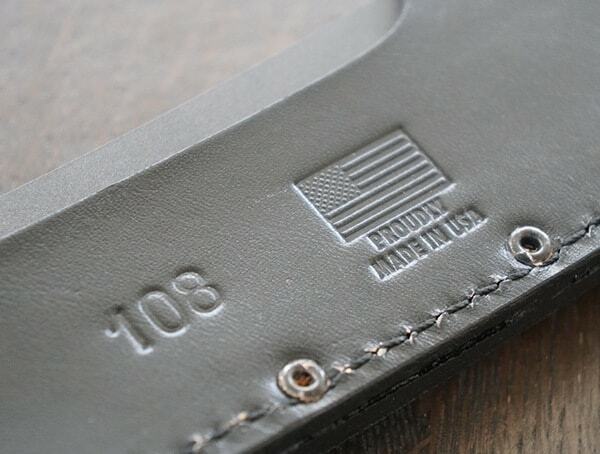 A classic design, the 110 is recognizable instantly by the distinct clean lines and bright brass features. 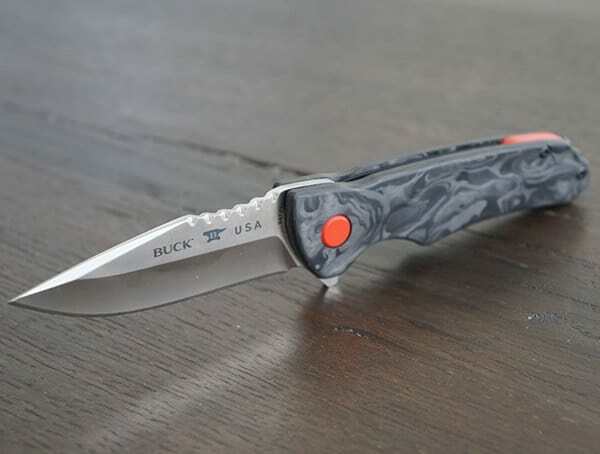 After Chuck’s time at the helm, his son CJ would take over just before the turn of the century in 1999. 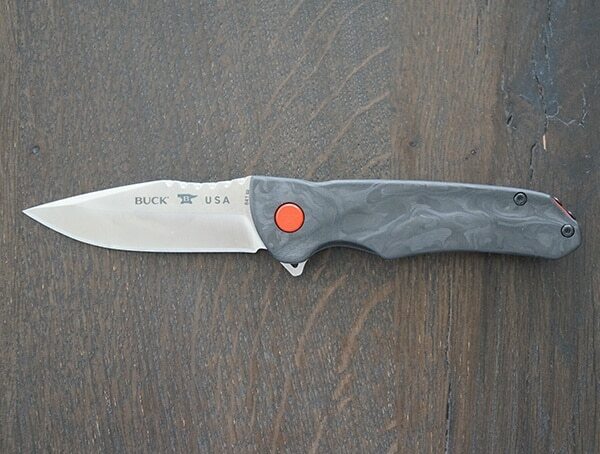 As the current 4th generation leader of Buck Knives, CJ has 41 years there. 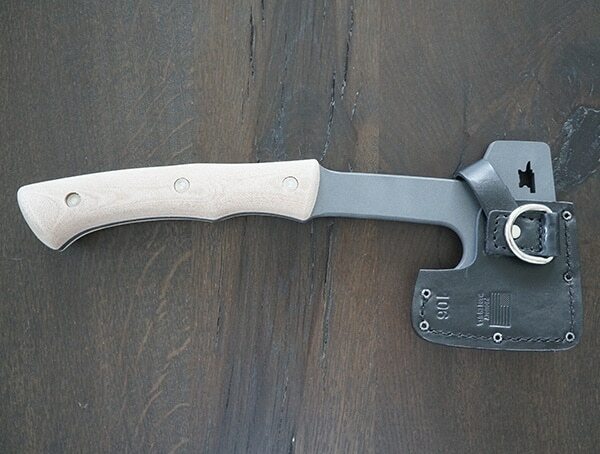 The pattern here is obvious. 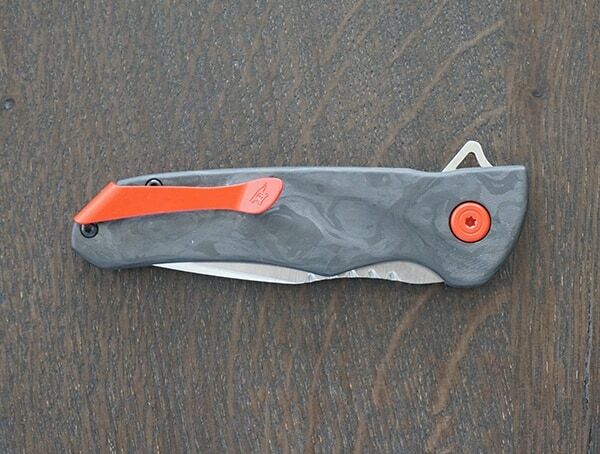 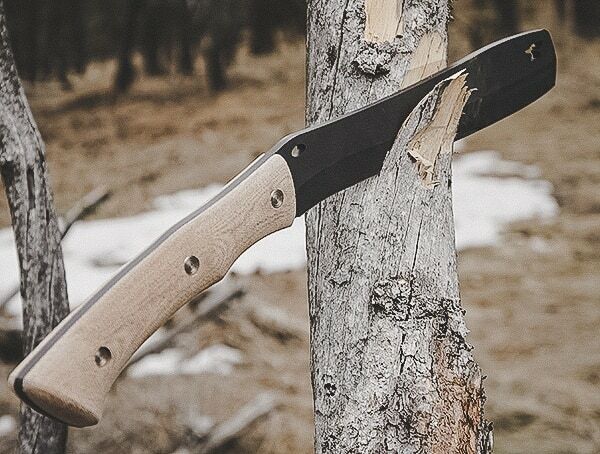 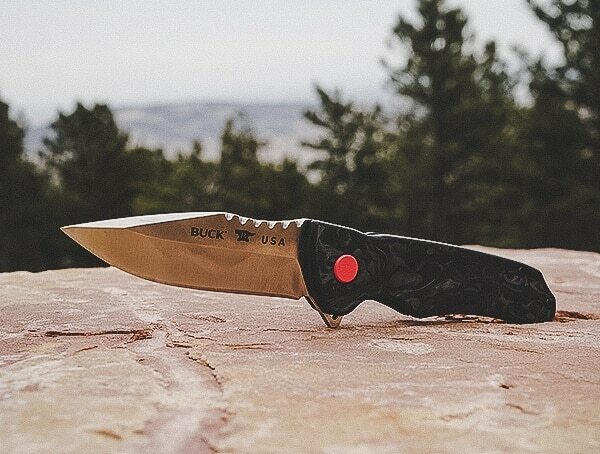 Buck Knives aren’t going anywhere, and they are very good at what they do. 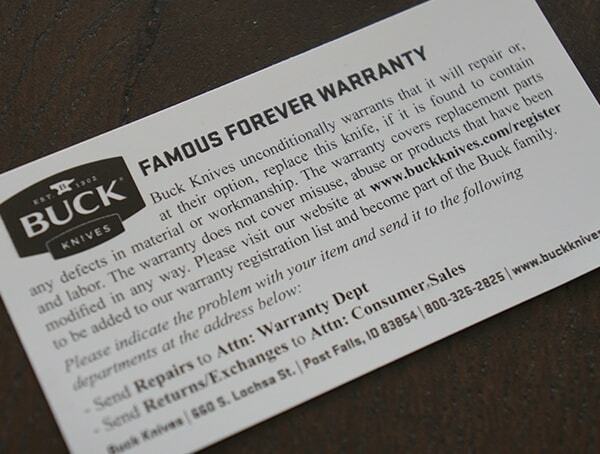 Free tours of the company are offered if you are in the area of Post Falls, ID and have 45 minutes to spare. 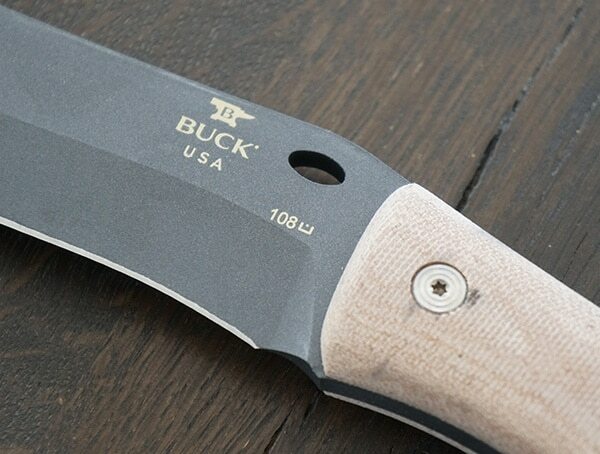 We have been longtime fans of Buck and enjoy their products very much. 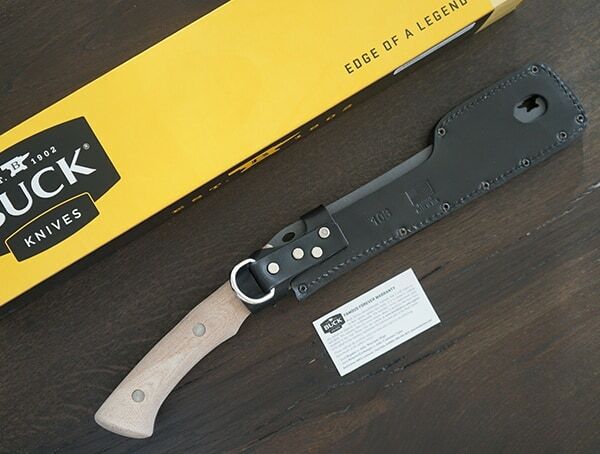 Take a look at our experience with some of their latest models below and see for yourself. 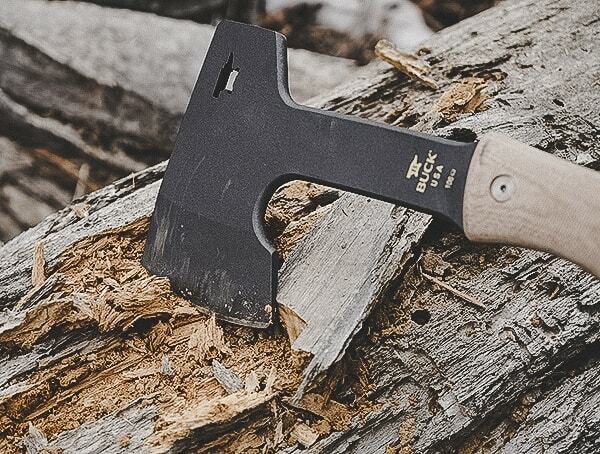 Do you need an outdoor tool or knife that is great for chopping or splitting wood? 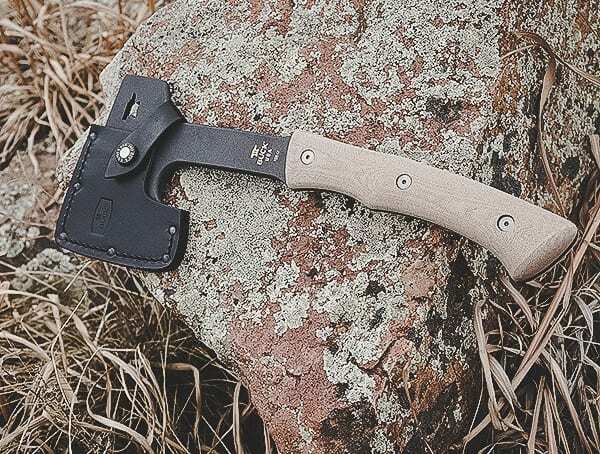 This is a great robust tool that is designed to be used for all of your outdoor activities, and it has a great design that you will love as well as a comfortable handle to hold on to. 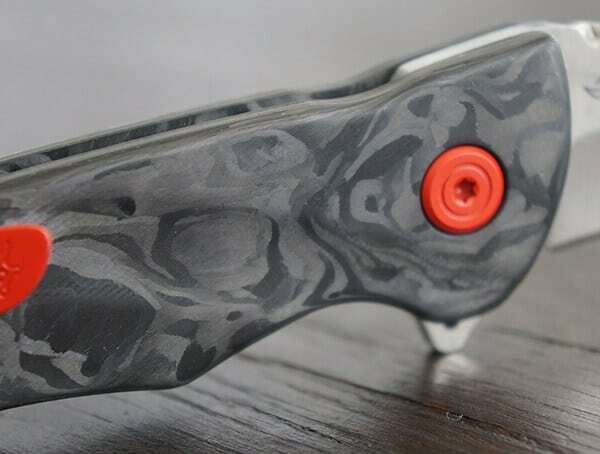 The blade is a dark grey metal which features a Cerakote Cobalt coated 5160 spring steel. 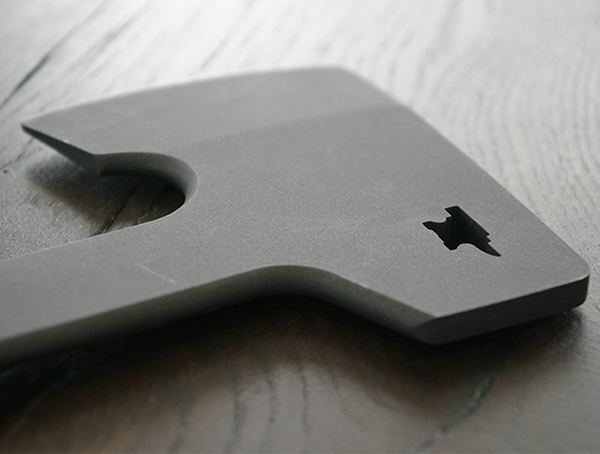 The metal itself is designed to be more durable and easier to cut the wood that you are working with. 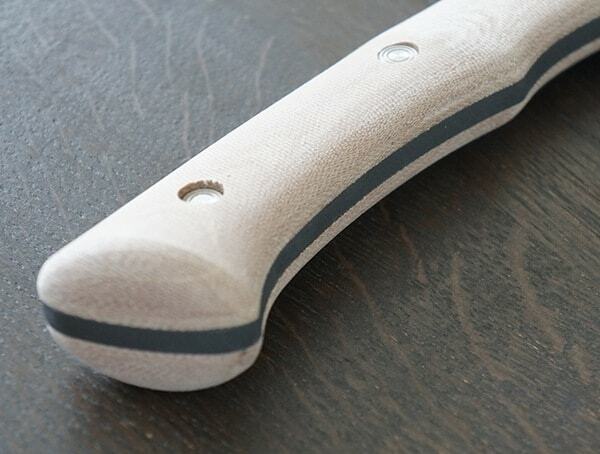 The handle is made out of Natural Canvas Micarta, which offers exceptional grip in both wet and dry conditions. 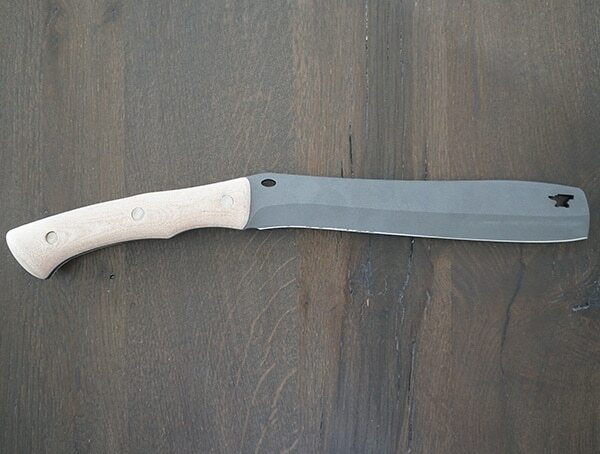 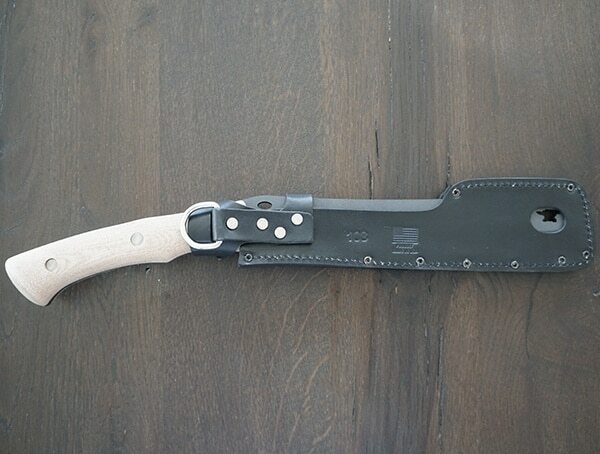 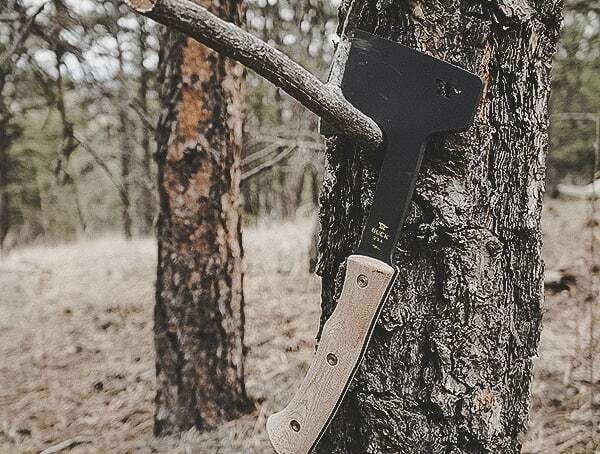 The blade is a full nine and a half inches long, and it weighs less than two pounds in total, which makes it perfect for chopping or splitting wood. 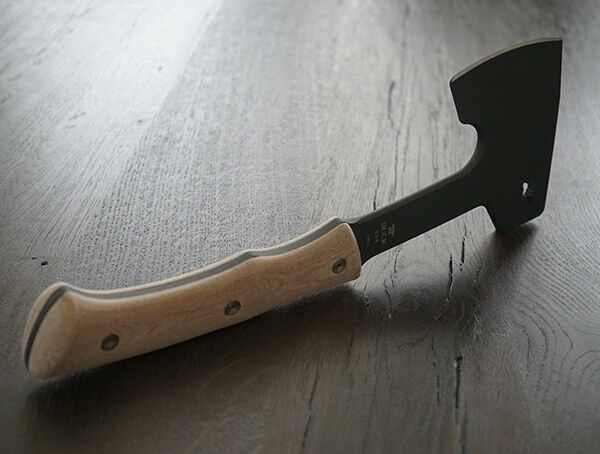 It also makes it an ideal option when you want to clear a path in the middle of the woods to walk. 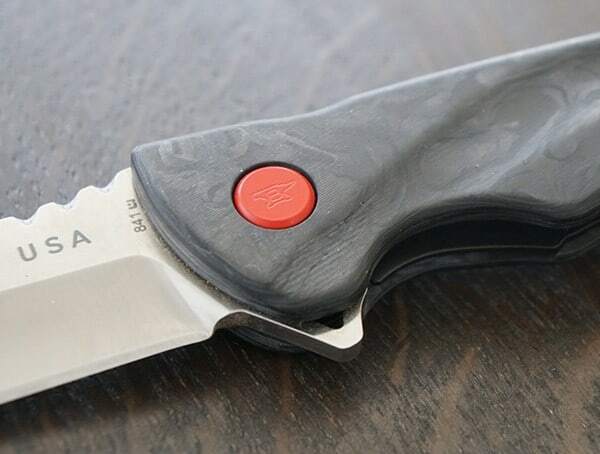 Since this is a very unique blade that you may not see in many places, it is also coated to help protect it against rust and corrosion so that you can use it for years to come. 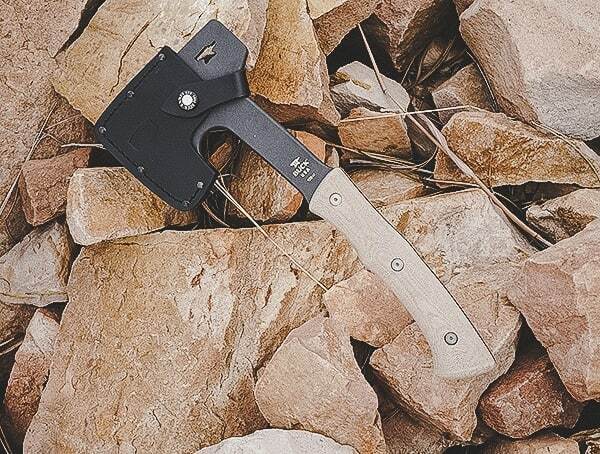 The tip of the blade has a small cut out of an anvil that looks slick, and the handle is slightly curved so that it is more comfortable for you to grip. 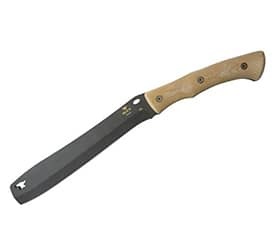 Overall, the blade is about 16 ¾ inches long, and it is a durable option that comes with a sheath to help keep it protected. 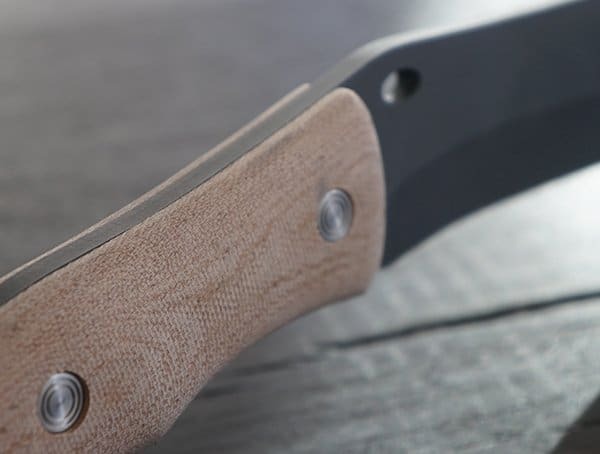 The sheath is genuine leather that will look great on your belt loop, and the wooden handle of the knife sticks out, but it is only available in one shade of wood. 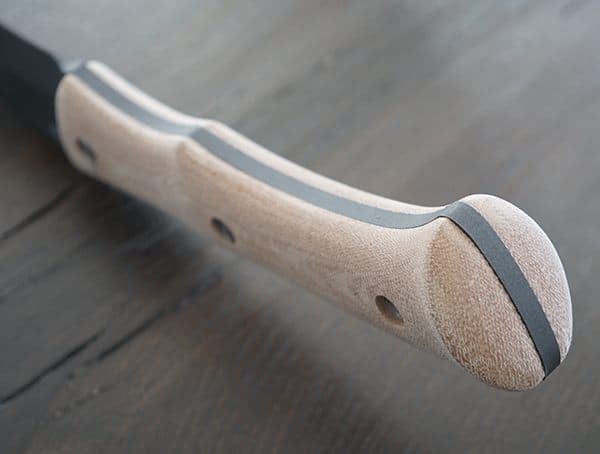 All of the knots in the wood will be unique as well. 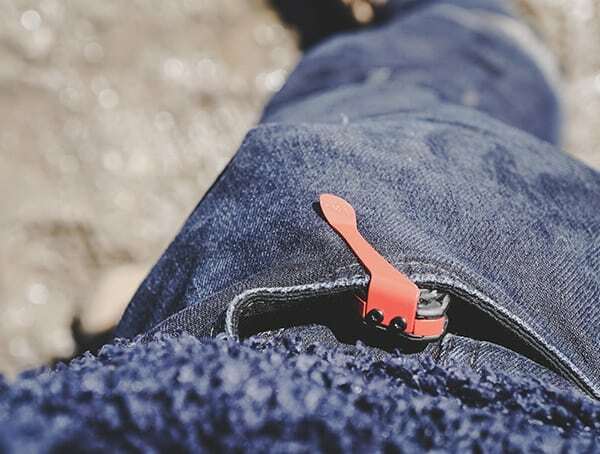 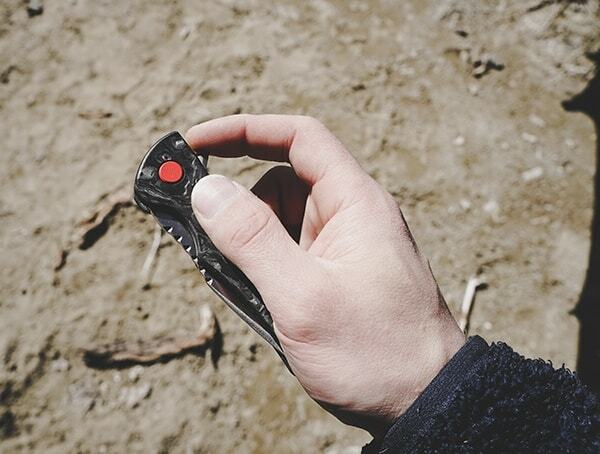 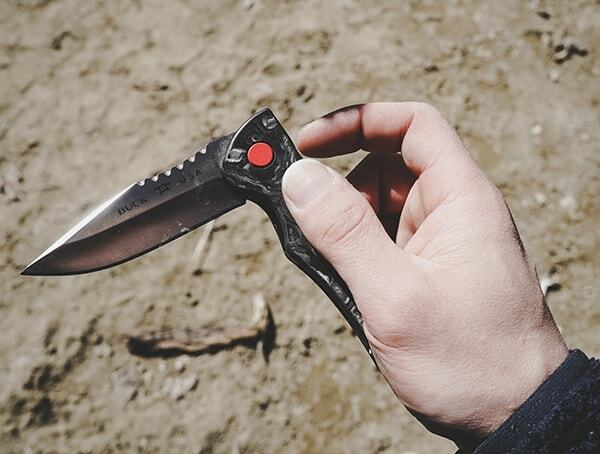 Are you looking for a convenient knife that you can easily carry right in your pocket throughout the day? 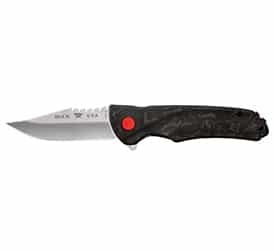 If you are, the 841 Sprint Pro is an excellent option for you to consider for your needs. 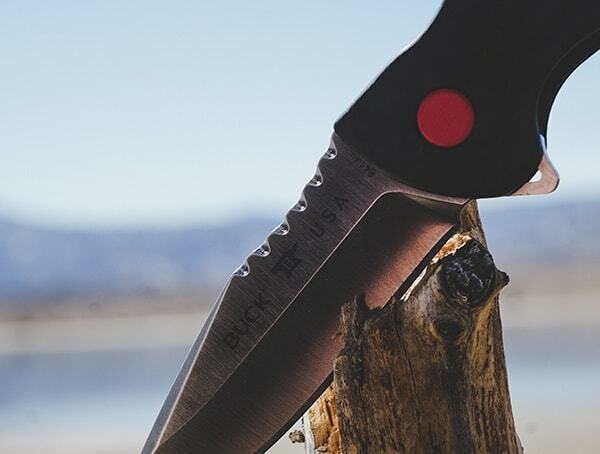 It is designed with a drop point blade that is made out of S30V steel, which is one of the most durable options that you can get in a knife of this type. 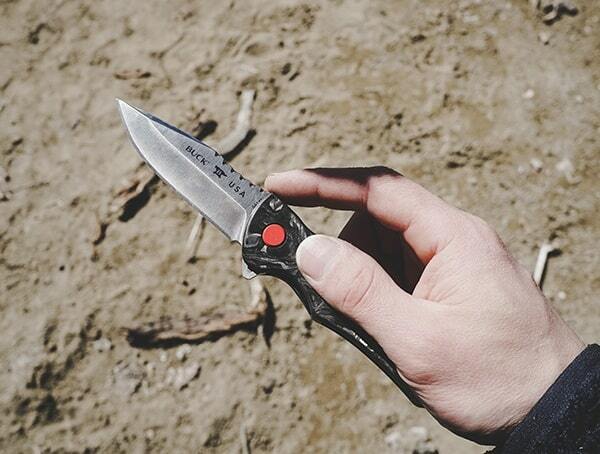 When you need the blade for a hard to do task, you are going to note how durable and strong it actually is. 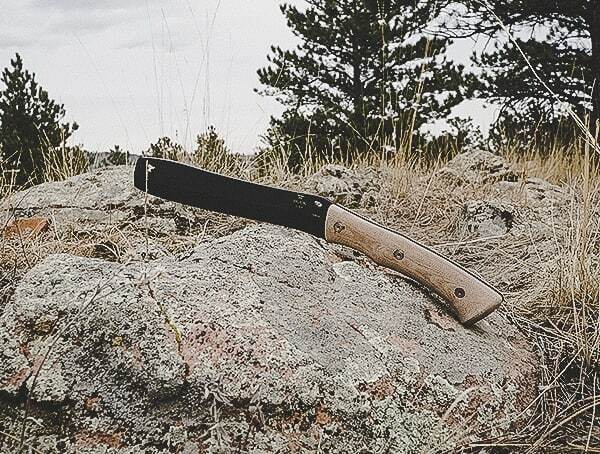 In fact, because of the drop point of the knife, the versatility of the knife is much greater than some of the similar knives on the market. 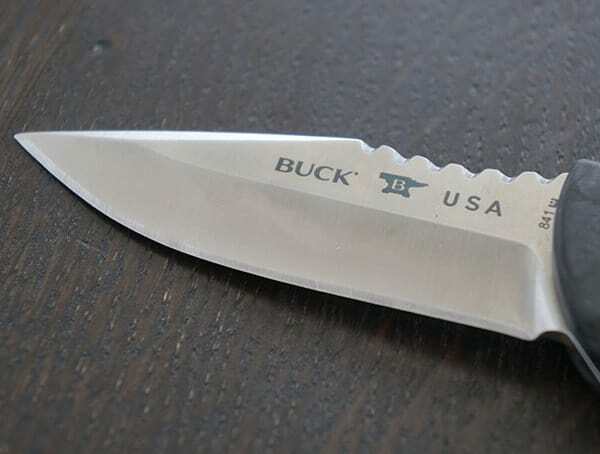 Thanks to ball bearing technology, the Buck Sprint glides open with a near effortless motion. 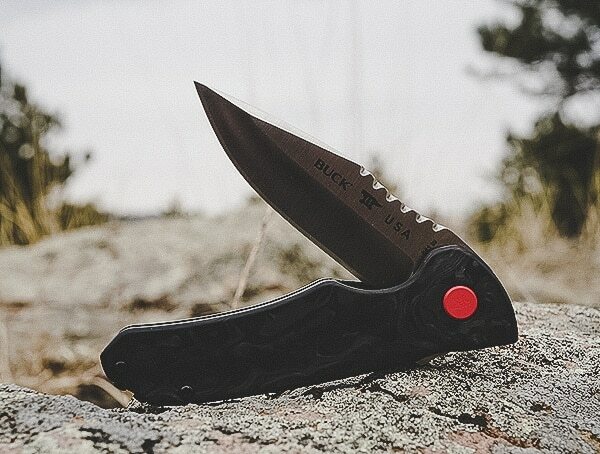 With a significant reduction in friction, you’ll be amazed at just how fast the blade deploys with on hand. 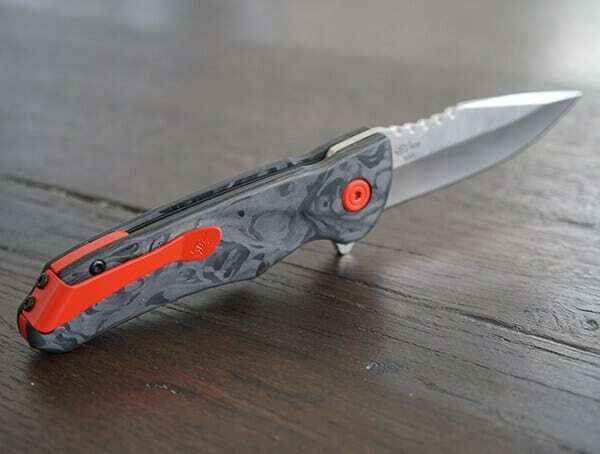 After trying it first hand myself, its definitely one of the fastest and smoothest folding knives I’ve laid hands upon. 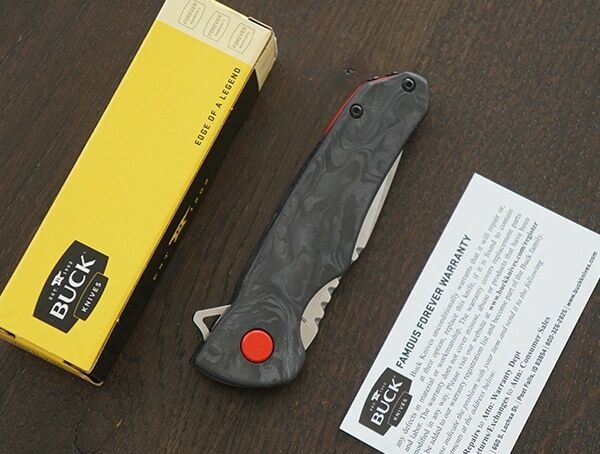 When not in use, a sturdy liner lock keeps the blade secured. 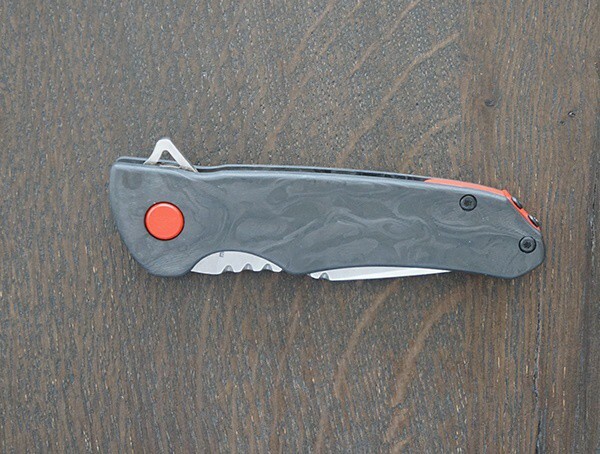 At 3 1/8″ (7.9 cm), the blade size is perfect for those look for that ultimate folding EDC knife. 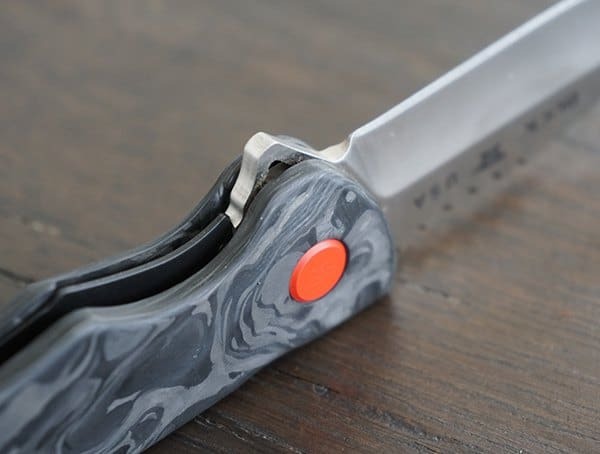 Add in the incredibly stunning to look at marbled carbon fiber and Cerakot USMC Red coated stainless steel accents, and you’ve got one beautiful yet, function tool for your pocket. 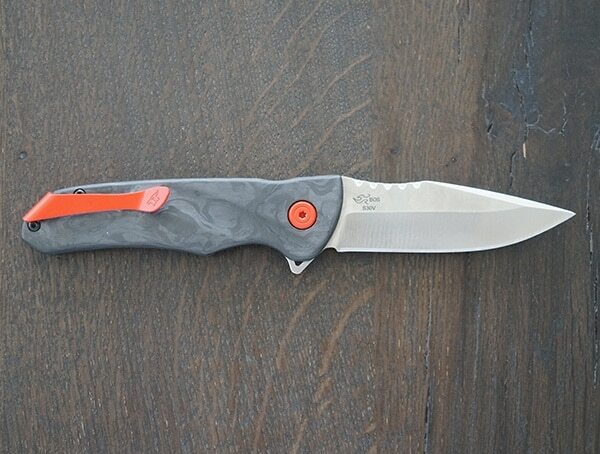 For folding blades, this is easily one of my favorite pieces to carry around on a daily basis. 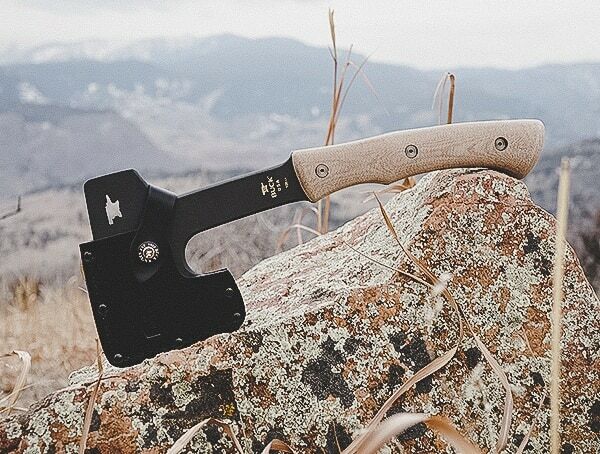 If you are looking for an outdoor tool that is a little bit more unique than a knife, then the Compadre Camp axe is a great option to consider. 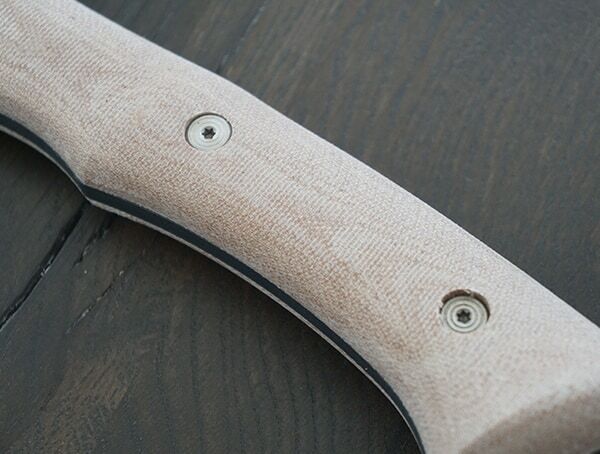 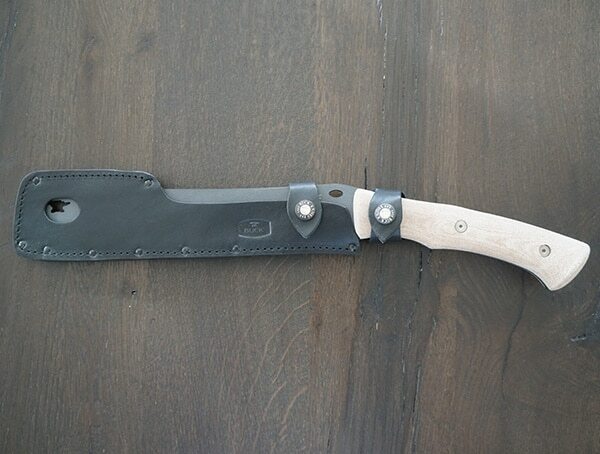 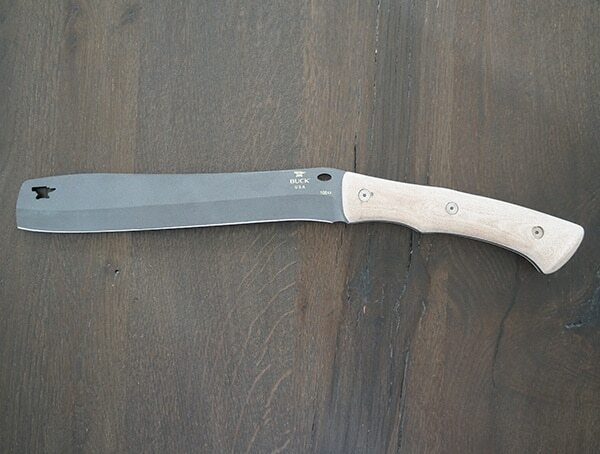 It is designed with a very sturdy ergonomic handle featuring Natural Canvas Micarta. 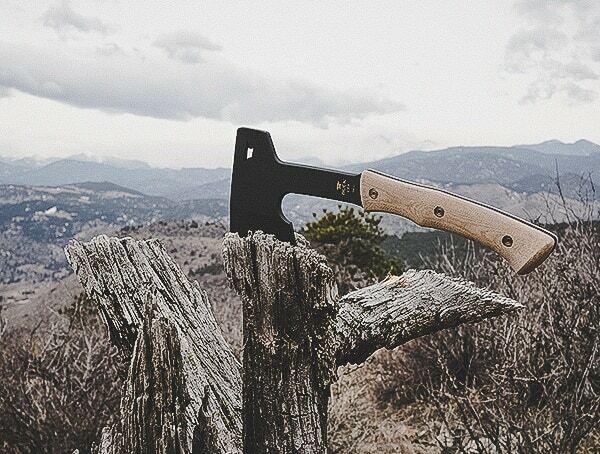 It has a curved look that is comfortable to use, whether you are going to swing the axe using one hand or two. 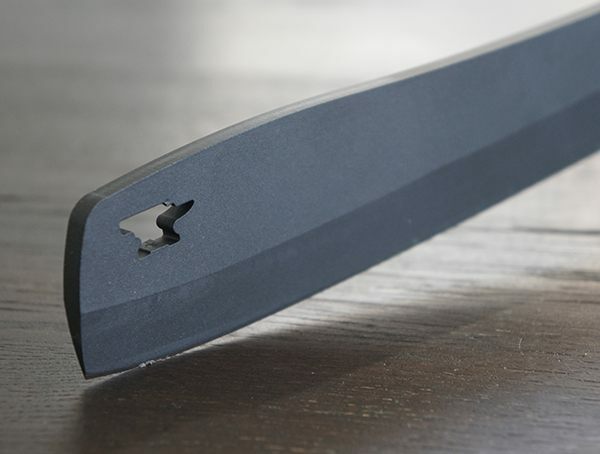 On the blade you’ll find Cerakote Cobalt coated 5160 spring steel,; perfect for those who demand long-term durability from their tools. 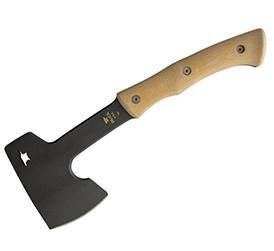 It is a very versatile blade as well, which will make chopping wood while you are in the middle of nowhere easier to do. 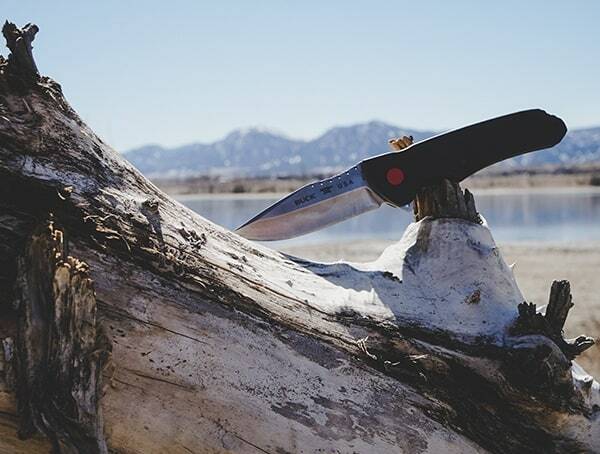 The blade is a smaller blade that is only about three inches long, but because of the light weight of the blade, it is still straightforward to use. 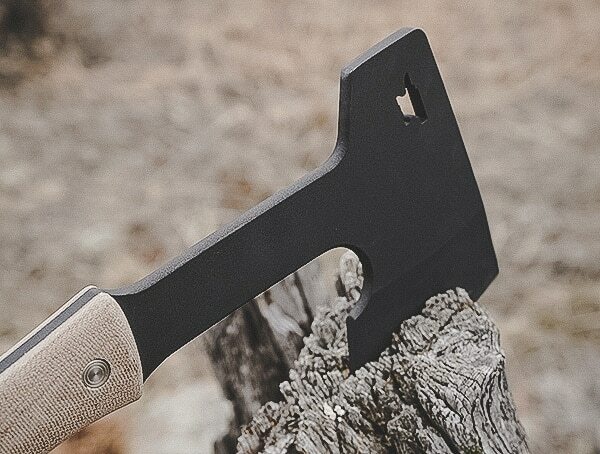 In total, the entire axe only weighs about two pounds, so it is very easy to carry, even if you are a smaller individual. 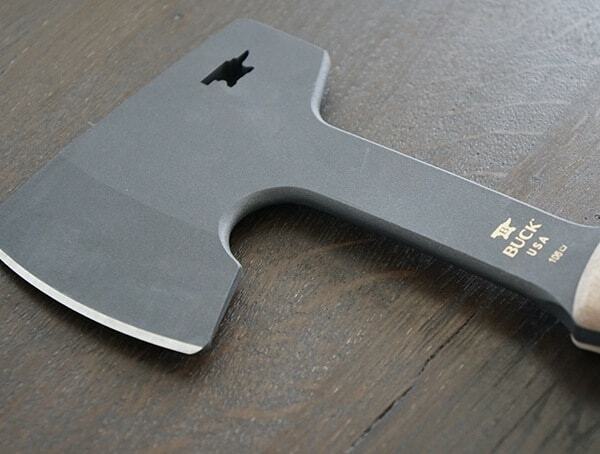 On the back portion of the blade, there is a small anvil carved out of the metal; this is the company’s logo, and it gives the blade a more unique look. 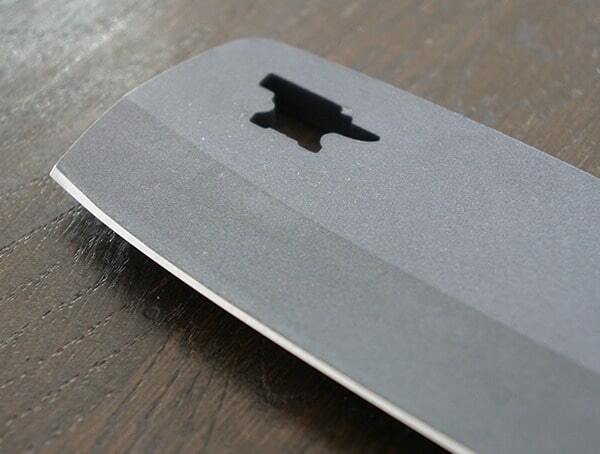 The coating on the blade gives it a black look, but it is not only there for design. 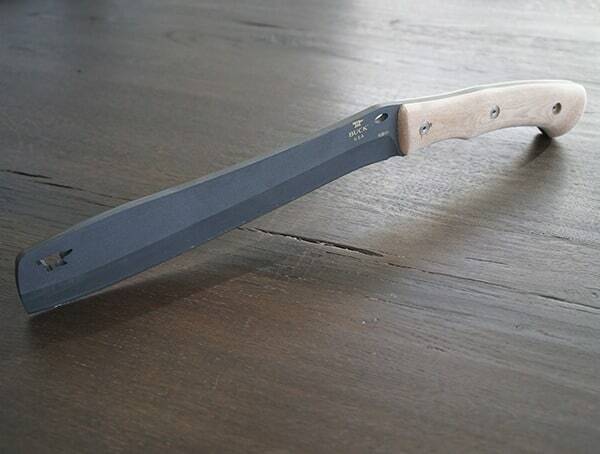 The coating will also help protect the blade from rusting and corroding over time. 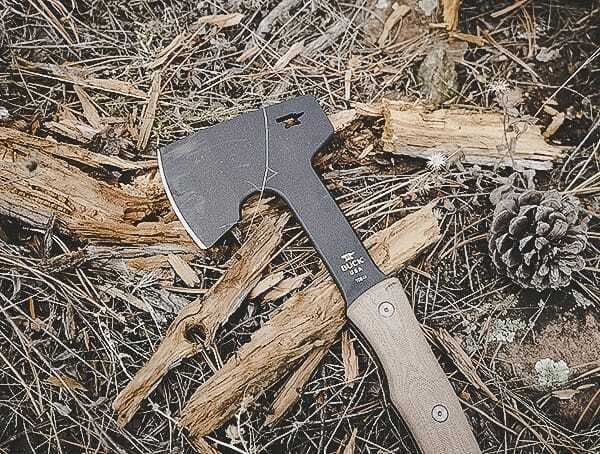 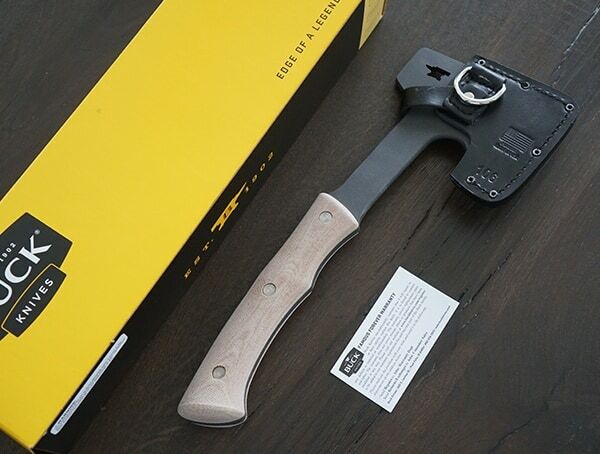 This is an exceptional axe built for the outdoors man who can appreciate the finer things in life, like craftsmanship. 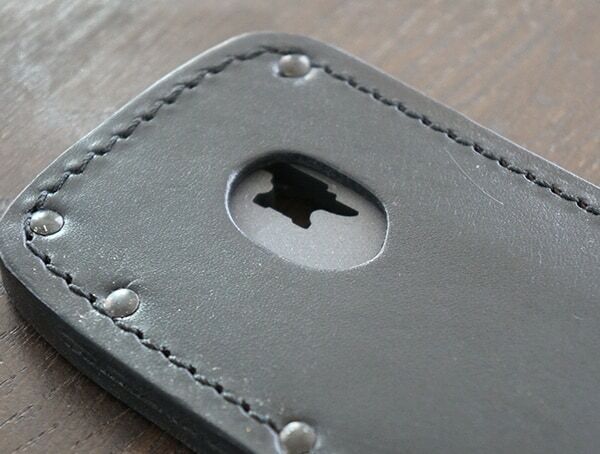 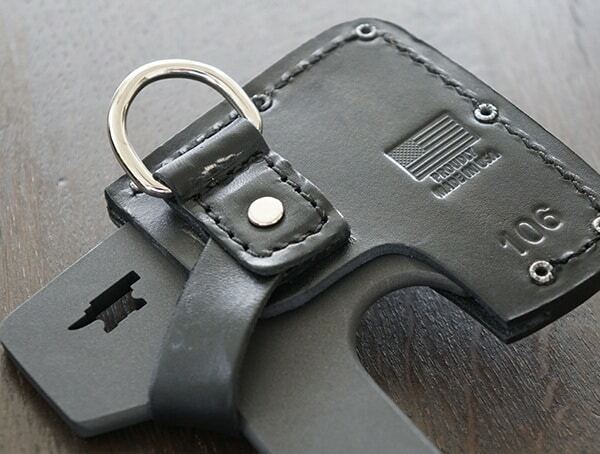 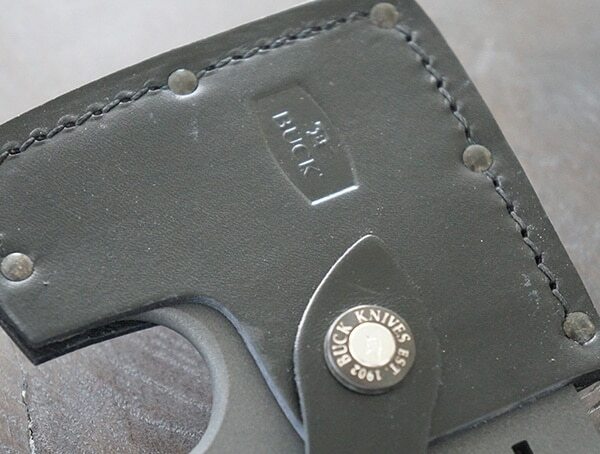 Included is a leather case to carry it in; in fact, the sheath can be attached to your belt loop if you’d like to make it easier to carry.